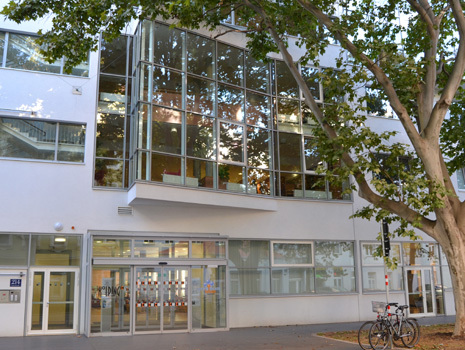 Meeting is the central theme in the intergenerational "Kolpinghaus Gemeinsam leben" in the Viennese district of Leopoldstadt. The foyer is generously sized and has many seating options, which encourage the residents to communicate with each other. 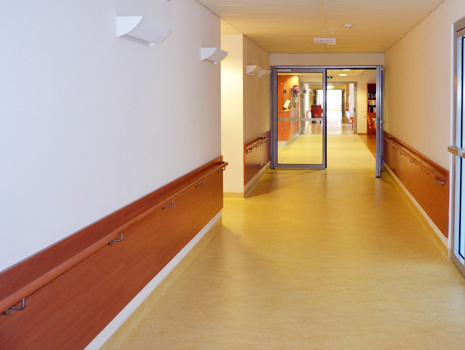 The private rooms of the residents are reached via corridors, which are wide enough to stop for a chat. The house is conceived as a multi-generational project. In addition to people in need of care, it offers a place of refuge for single mothers and their children, who live in a difficult social situation. Where possible, the women are integrated in the operation of the building, so that they obtain permanent employment. The building also has apartments for people who want to live as independently as possible in their old age. 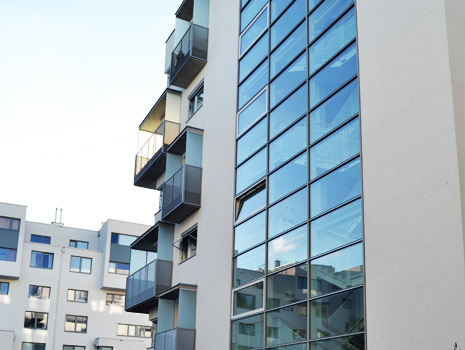 These apartments are available to all who want to live in an accessible environment – care services can be ordered as required. Joint events are intended to join the different generations into a community. A guiding principle of the house is "Customised care"– this principle is reflected in the interior fixtures and finishes. In the centre of each storey is the "meeting zone" with generously sized seating areas. Warm colours and the use of many wooden elements enable a homely ambience, which contributes to the feeling of well-being. 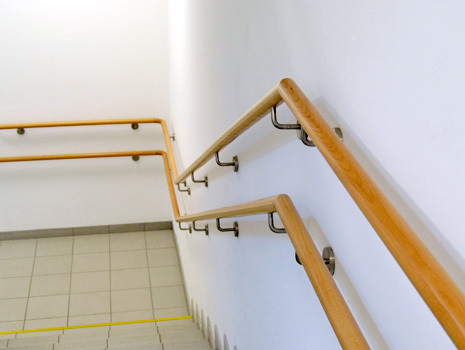 For example, handrails and collision protection in the corridors are made of wood. The rooms of the residents serve as havens. They are fitted out according to the needs of their occupants. 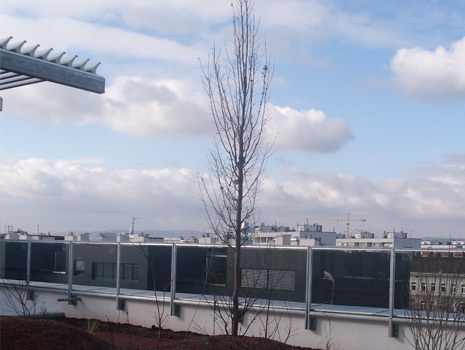 The rooms are fitted out to provide as much support as necessary and follow the above-named guiding principle. HEWI's LifeSystem was used in the bathroom. Hinged support rails at the washbasin and in the toilet area provide a secure hold and support movement sequences. The shower has a rail system. 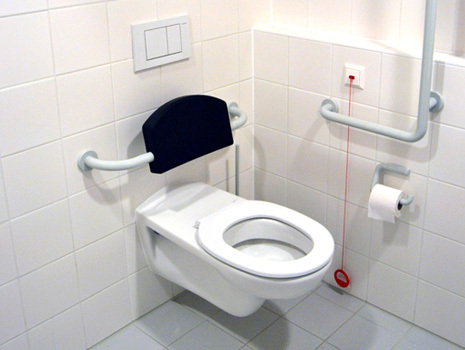 The advantage of this is that it can be used not only as a stable gripping option, but also a shower seat can be hooked onto it as and when needed. Everything in the bathroom is designed for easy use by a wheelchair user: The washbasin is wheelchair accessible, the toile has a backrest, a hinged support rail with a second gripping level is also attached there and makes it easier to move from a wheelchair to the WC.